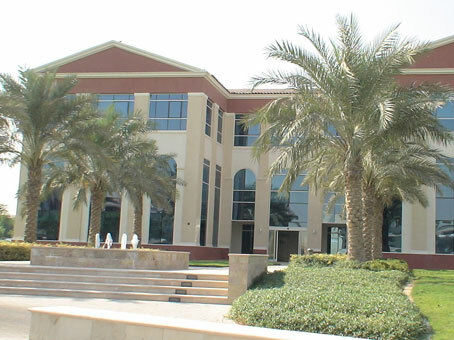 We work with all flexible serviced office and workspace providers in Dubai. We scan the whole market for you and provide you with a FREE bespoke report with the latest availability and costings tailored to your specific requirements. 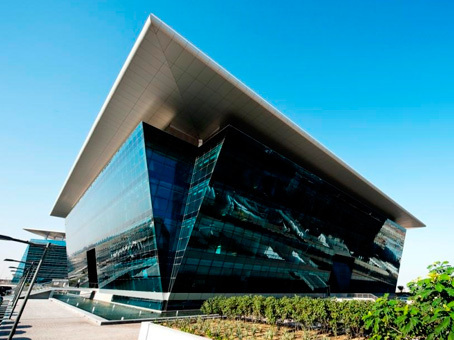 How do I find a serviced office in Dubai? 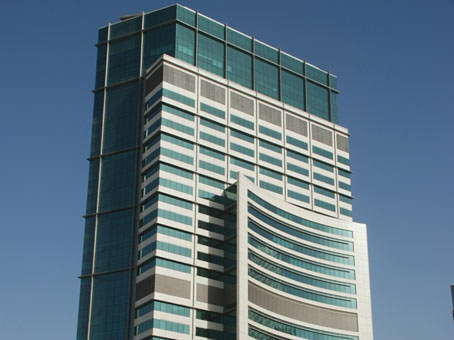 The TOPS team has several decades’ worth of experience in acquiring office space of all varieties in Dubai. 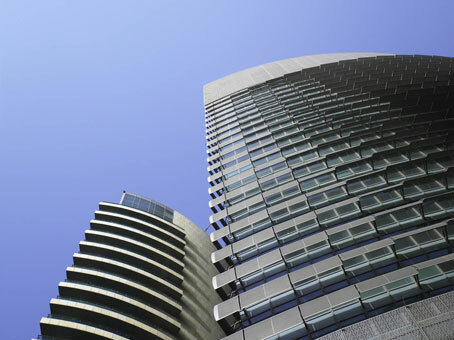 We work to understand your bespoke requirement and present you with a report with a range of available options whether they are serviced offices, managed office space, co-working space or private offices. 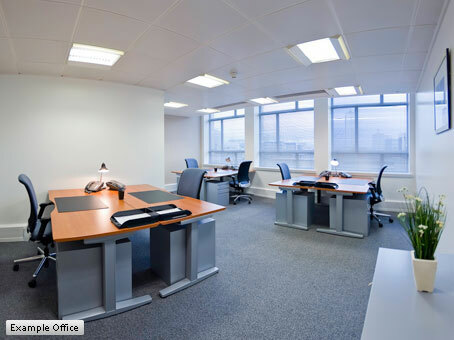 We then arrange viewings and assist with the acquisition of your perfect workspace. What does Dubai have to offer my business? Practically every business sector is represented in Dubai from tourism to oil to sport to real estate to solar energy to banking. This is due to very low corporation taxes in many free zones, low personal taxes and its strategic geographical positioning. Dubai’s nickname is ‘Do Buy’ on the basis of the open and active encouragement to do business – it is a well-equipped environment with a supportive commercial infrastructure. Why is Dubai so popular? 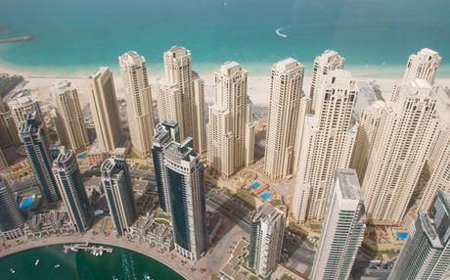 Construction in Dubai is energetic; it has been since the 1960s and only really slowed down during major economic dips. In fact, Dubai still managed to complete the Burj Khalifa tower in 2010 – the tallest building in the world, appearing immune to the global downturn of 2008. Due to relatively relaxed planning restrictions, the cityscape is constantly evolving and buildings appear to be recycled every ten years or so, if not sooner. In fact, strolling along the promenade of Jumeirah Beach Residence (JBR) – The Walk, the whole area seems to have been transformed in just the last two years. Some older establishments have been razed to the ground to make way for open-air gyms and music venues, refreshingly tipping the balance towards community, whilst still wearing its commercial hat. What remains the same is the skyward view of the stream of tandem parachute jumpers falling from the SkyDiveDubai planes over The Palm. It is due to this construction rate, combined with the improving infrastructure, connection and public realms that helped Dubai win the rights in 2013, to host Expo 2020. The exposition is a vast display to the world that can last up to six months, that observes a collective theme that is applicable to all humanity. Dubai chose the theme for 2020 to be ‘Connecting Minds, Creating the Future’ – tying in with its commitment to connecting the world. The sub-themes of the Expo are sustainability, mobility and opportunity. The awarding of the right to host the Expo has provided a further boost to Dubai’s construction industry and may create an estimated quarter of a million new jobs. Dubai is a global city and financial centre due its strategic location on the southeast coast of the Persian Sea. Dubai is a seven hour flight from London, three from Mumbai, seven and a half hours from Singapore, and eight hours from Hong Kong. Due to this positioning, Dubai is both the seventh busiest passenger and seventh busiest cargo airport in the world. 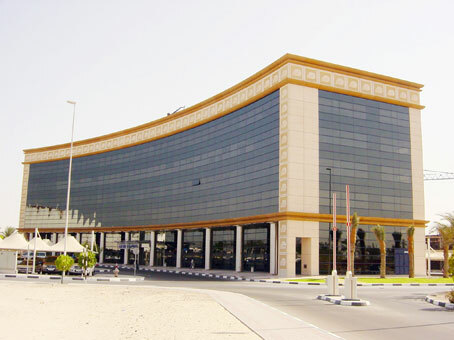 In fact, the largest kitchen in the world belongs to Emirates airlines and caters hundreds of thousands of meals per day. Dubai is one of seven emirate states located in the southern coast of the Arabian Gulf that are collectively known as the United Arab Emirates (UAE). Dubai is the most populous of these states with a population of just over two million, of which only 10% are native Emiratis, the rest being ex-patriates. What are the transport links like in Dubai? The public transport in Dubai is operated by the government’s Road & Transport Authority, providing the Dubai Metro and the Dubai Bus Services. 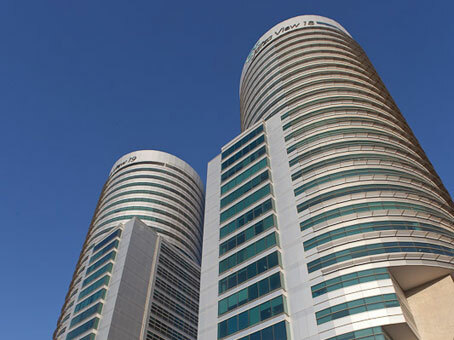 A relatively recent addition to Dubai is the Metro which is popular as it is very affordable, and clean. Travelling on the state-run mass transport can be utilised for as little as 4USD for the whole day. The Dubai Bus service is equally as popular, with air-conditioned vehicles and stops, and services running most routes. For Dubai Airport (DXB) transfers, taxis and Ubers are often the most efficient and best recommended forms of transport.